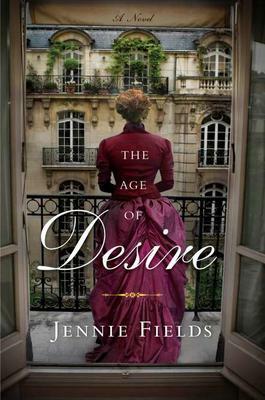 The American writer, Jennie Fields, has written an intimate novel on the love life of one of America’s most famous women writers, Edith Wharton. She says in her Introduction: “I hope that, as a novelist, the very private and proud Edith looks down on me with indulgence..” In fact, while Fields does base her story on Wharton’s diaries and letters, she is also very imaginative and frank in writing of the love Wharton never had in her marriage but sought outside it. The period is turn of the century, the early l900s, and much of the story takes place in Paris salons where famous literati and artists – including particularly Henry James who is a close friend of Edith Wharton’s – gather to exchange ideas. Wharton’s book The House of Mirth has just gained huge popularity. Meanwhile, Wharton divides her time between Paris, where she longs to be, and her large country house in Lenox, Massachusetts where she lives a separate emotional life with her American husband. Also included in her life is a childhood governess, secretary and close friend, Anne Bahlmann. She has her own story of emotional fulfillment. Altogether we get a tender, up-close look at the two women, their lives of combined affluence – dozens of servants and comfort everywhere – combined with emotional starvation. Jennie Fields has written three novels. She also spent twenty-five years in New York as an advertising creative director. This is a provocative but compelling book. “Because it’s there” became the famous quote of the climber, George Mallory, whenever he talked of being the first man to conquer Mount Everest. This book tells the real story behind his adventures as well as the very deep love story that came second only to the call of these adventures. Tanis Rideout has done impressive research to make “Above all Things” the excellent book it is. Set in England, it tells how George Mallory, highly educated, part of the Bloomsbury Group, came to love climbing above all else. Expeditions in the early l920’s to conquer Mount Everest had failed. This book goes into detail as to how the l924 Expedition came to be formed. This all runs parallel to Mallory’s deep love for his wife, and their three small children. In fact, much of the book is written from Ruth’s point of view and we get a vivid picture of the agony of her waiting. The author was born in Belgium but now lives in Toronto. She has been part of the environmental advocacy group Lake Ontario Waterkeeper to help promote environmental justice on the lake. 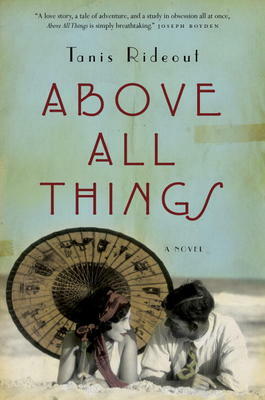 “Above all Things” is her first novel. This novel is indeed an unlikely story of how to resolve human relationships. But it is original and highly entertaining. The reader follows Harold Fry closely from the moment he sets out to walk from his house in Kingsbridge in the southern tip of England on the English Channel, to a hospice in the very north of England in Berwick-upon-Tweed at the Scottish border. For one thing, Harold Fry is a loveable character – unsure of almost everything he ever did, except falling in love with his wife and then, at this point in time, deciding to make this walk. There are family tragedies that became more than he could live with. When an old friend from work wrote from the hospice, he was struck by the idea that walking to see her would keep her alive. It did more than that. His wife came back from her own private hell of misery and drove up to see him. Many hundreds of people along the way heard of his walk, and came out to confess their own stories and in fact join in the pilgrimage. 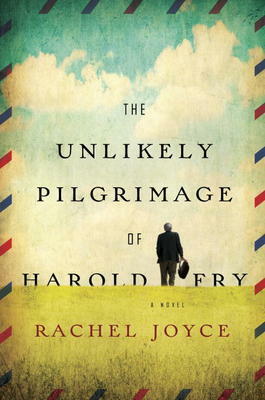 It remains Harold’s private story, however, and Rachel Joyce does a brilliant job of making it believable. Joyce has spent twenty years in an acting career as well as writing award-winning plays for the BBC Radio 4. She lives on a farm in Gloucestershire with her husband and four children and is now working on her second novel. As the sequel to “Gwen” this new story is set in 1898 and Gwen continues her adventures – this time in Calgary, a brand new town in the North West Territory. 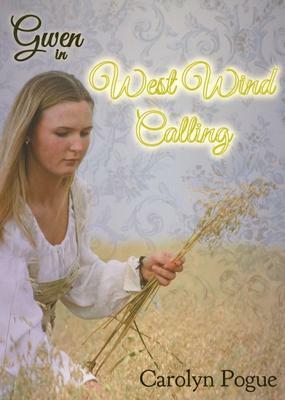 Join her as she meets new friends – and finds that not all is golden in the golden west. Big sky, new friends and mystery await.